I am a board-certified psychiatrist who works with people of all ages to help enable mental, emotional, and behavioral changes that lead to improving and maximizing wellbeing. In addition to my work with children, teens, and their families, I help corporate executives, physicians, and other professionals with stressful careers create balance and equanimity in their lives. I specialize in psychopharmacology and use evidence-based treatments—including medication management, appropriate psychotherapeutic recommendations, and lifestyle adjustments—to ensure your treatment plan offers you the best possible support. I treat a wide range of pediatric and adult disorders, with a special interest in Autism, OCD and ADHD. I also provide comprehensive second opinion evaluations for complex cases that are not responding to treatment. In order to best serve you, I take time to get to know you or your child beyond the initial reason that was the catalyst for our visit. Together, we identify your strengths as well as your difficulties. I collaborate continuously with family members, primary care physicians, psychotherapists, educators, mental health agencies, and other involved parties to create an integrated treatment plan for your optimal mental health that is unique to you. 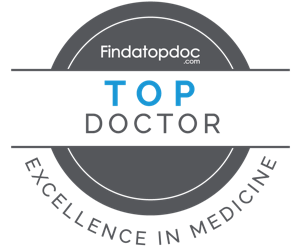 Dr. Dholakia is professional, compassionate, and extremely knowledgeable—the perfect combination for psychiatric care. He also makes it his point to advocate for his patients and puts their needs first. My family and I have been patients of Dr. Dholakia for over a year now and I have to say he is hands down the greatest doctor that has ever treated us. He is professional, kind, and knowledgeable. Dr. Dholakia always lets us be a part of our treatment and respects our decisions. I highly recommend being under his care.